This updates the current locale from something like "en_US_POSIX" to "en_CA". Your currency will now display the way you want it to! This article discusses Lasso Server 9.3 installation for the AMD64 CPU version of Windows Server 2012. Note that this release is still in Beta and should not be used on production machines until on a full supported release. 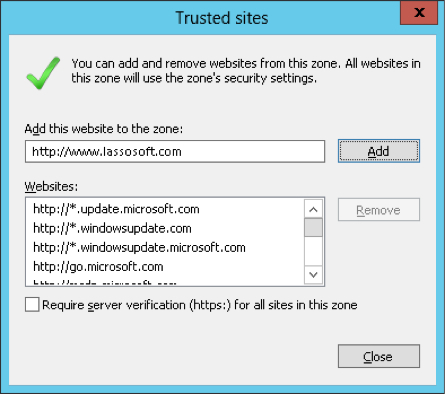 To install IIS, follow these steps. If it's already installed, please review the "Role Services" step below to ensure that "ISAPI Extensions" and "ISAPI Filters" are installed. Open the "Server Manager", as shown below. Scroll down to the "ROLES AND FEATURES" section. Click the "TASKS" drop-down menu to its right (as shown, below) and click the "Add Roles and Features" item. Choose "Role-based or feature-based installation" and click the "Next >" button. Choose "Select a server from the server pool", choose the server from the "Server Pool" section, then click the "Next >" button. 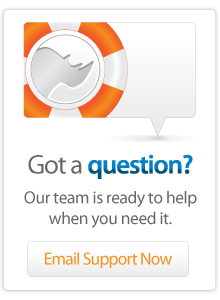 In the list of "Roles", place a check-mark in the check-mark box for "Web Server (IIS)". A window will open. Click its "Add Features" button, which will close it. Click the "Next >" button. In the "Features" list, you needn't make any changes. Click the "Next >" button. On the "Web Server Role (IIS)" page of the wizard, click the "Next >" button. On the "Role Services" page of the wizard, in the "Role services" section, scroll down until you find "Application Development". Expand that item. Place check-marks in the check-mark boxes for "ISAPI Extensions" and "ISAPI Filters". Click the "Next >" button. On the "Confirmation" page of the wizard, click the "Install" button. If you are using Apache instead of IIS, follow these instructions. Lasso 9.3 with LUX requires ImageMagick 6.7.7-7-Q16. You will need to install this from the file you downloaded earlier. Be sure to "Add application directory to your system path" during its installation. 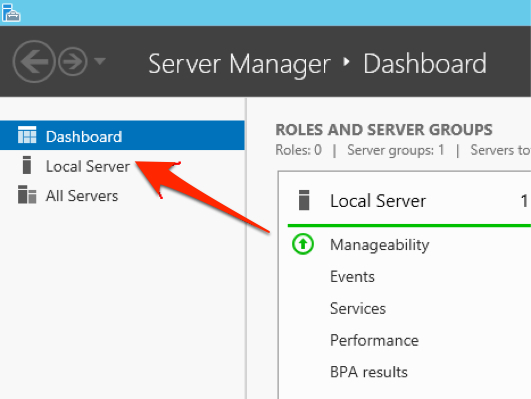 Installing Lasso 9.3 for Windows Server 2012 is very simple. Double-click the installer file you'd downloaded earlier, read and be sure to accept the agreement, then perform a "Typical" installation. During installation, certain dependencies might need to be installed, such as the "Microsoft Visual C++ 2012 Redistributable (x64)" software. Once Lasso 9.3 has been installed, here are the steps to follow in order to instruct IIS to send requests for Lasso source-code files to the Lasso connector for IIS. In the "Server Manager", click the Tools menu at the top, then choose the "Internet Information Services (IIS) Manager". Select your web-site on the left, then double-click the "Handler Mappings" item in the central part of the window, as shown below. In the "Actions" section on the right, click "Add Script Map..."
Click the "OK" button. A window will ask you if you wish to allow the ISAPI extension. Click its "Yes" button. Instructions are not yet available. Please see the instructions for Lasso 9.2 as a guide, noting that the section for the 'Instance Manager' is no longer relevant. Important: Previous versions of Lasso Server 9.x must not be installed on your Windows Server 2012 before installing Lasso Server 9.3. 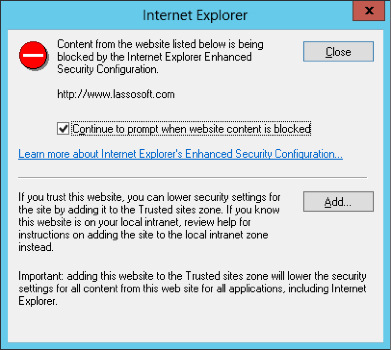 1In a default installation of Microsoft Windows Server 2012, Microsoft Internet Explorer is set to block most web-sites. Then click the "Add" button to add the Lassosoft.com web-site to the list of allowed web-sites. To send an email immediately and bypass the queue, use email_immediate.